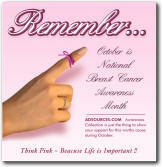 Garland's Photo Logo Collections are designed, engineered and manufactured in the USA. Pens, pencils and rollerballs are featured from six distinctive collections. Garland... continuing a tradition of quality and style in the writing instrument industry since 1927. A writing instrument from our Revere Collection blends style and function into an enduring statement of quality. There’s nothing like the feel of stainless steel. This classic feature defines our Revere Collection. Engraving on writing instruments in the Revere Collection is subtle, a desired feature in many gift and award programs. By presenting a writing instrument from our Revere Stainless Steel Collection you will make a gesture that is both timeless yet contemporary! Set-up charge is $30.00 per item number on new and repeat orders. 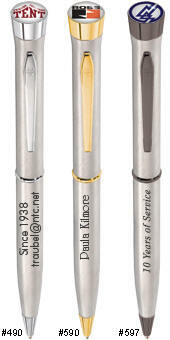 There are two opportunities for promotion on Garland pens: In the dome where a full color logo is encased and covered with clear epoxy, and on the barrel where a message is engraved or imprinted. Garland pens are available in a variety of finishes and colors from which you can choose a pen that best matches the objective of your programs. Our collections are described below. You can choose from different designs, including twist pens in slim or hefty style and popular roller balls as well. On all metal pens, the first line of engraving is free when you choose a standard typestyle. This free line can be a repetitive message or individual names. Whether you order 50, 500 or 5,000 pens, we can personalize each pen with a different name for free with a supplied email list in text format.